Size 18" X 24" X 7/8"
In this collage portrait I decided to aim for more realistic color hues. 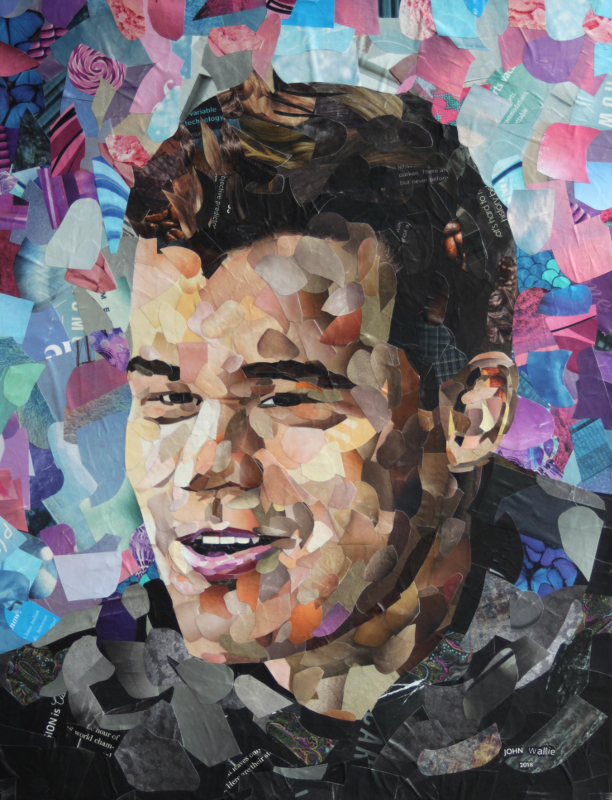 Special thanks to Alina L’Ami for her reference photo of Magnus Carlsen, the reigning world chess champion. 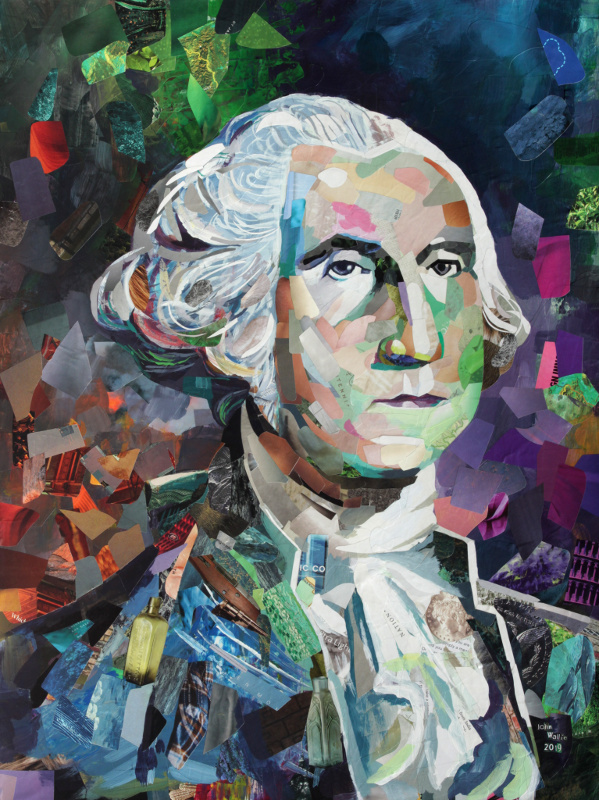 My second collage artwork, based on the 100 dollar bill. Size 12" X 15" X 1.5"
Anish Giri is a top level chess player known for being humorous at times. The painting is based on a reference photo by Alina L’Ami. Size 24" x 30" x 7/8"
Portrait painting of Vincent Price, an actor famous for his humorous horror movies. 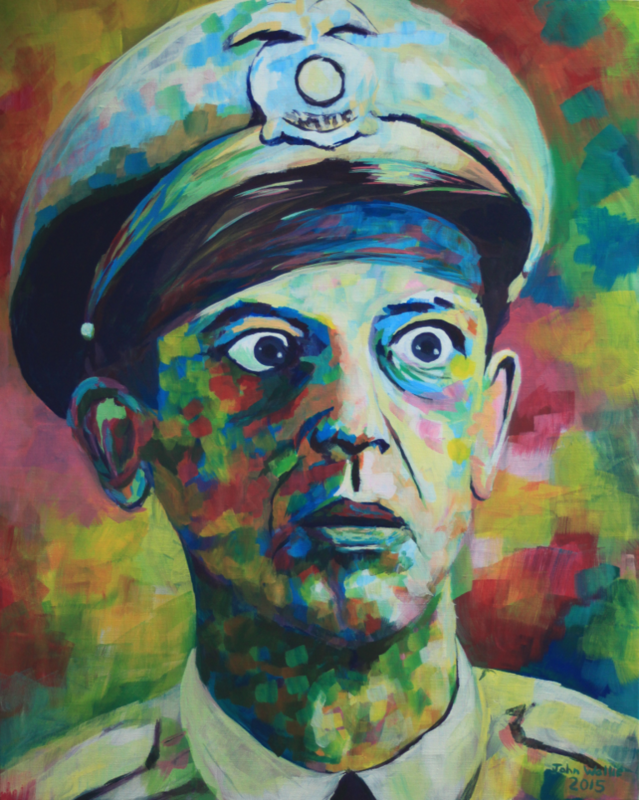 Size 24" x 36" x 7/8"
Original painting of Don Knotts who is best known for his role as Deputy Barney Fife in the 1960s sitcom, The Andy Griffith Show. 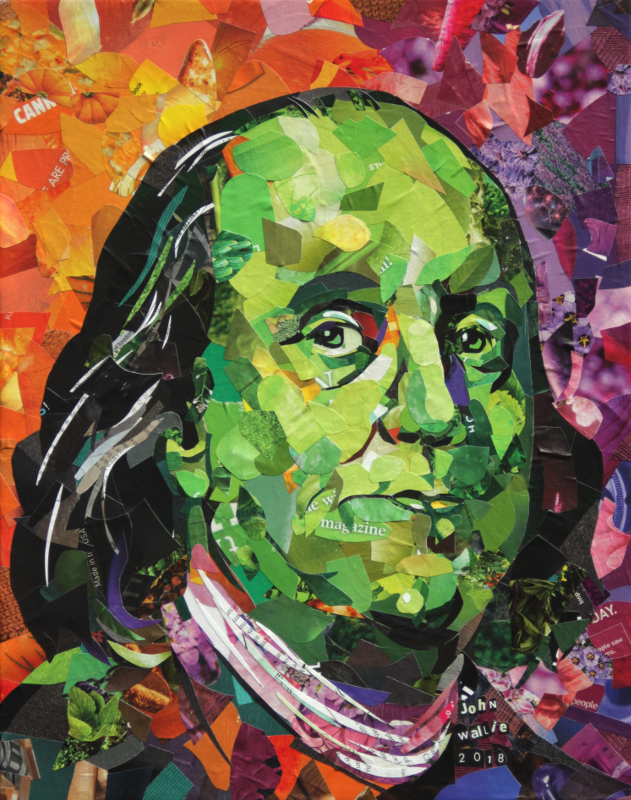 Original painting of Ben Franklin based on the 100 dollar bill. Size 20" x 24" x 7/8"